Gutter Cleaning in Atlanta for 18 Years – We started from scratch back in 1992 with only a van, a ladder, a couple of blowers, and a desire to create the most professional and customer oriented gutter cleaning company anywhere. There were other companies cleaning gutters in Atlanta, but we felt like none of them really took care of their customers in a way which created a win-win situation for both parties. Of course, we wanted to be successful and earn a good living, but wanted to provide a tremendous value for our customers at the same time. We believe this is the only way to operate a business and be successful long term. After many years of perfecting the way we go about our day to day operations we have become efficient, in the field and in the office, so that we are able to offer great prices, consistent professional service and fast turnaround times. Even though we are simply gutter cleaners, we take our business very seriously and you will see that in every interaction with our staff. Consistent Growth Year After Year– Our goal is keep our customers coming back to us over and over again. The only way to ensure this loyalty is to keep our customers happy and we strive for that with every visit to your house. From keeping scheduling simple and easy, to making sure that every last bit of debris is removed from your gutters, you can be assured that we will do what it takes to make you happy with our service. Because we are continuously holding on to our existing customers and adding new ones at the same time we see growth of approximately 20% each year. Home Services Review operates as an independent research company conducting thousands of homeowner surveys. Their methodology process is designed to convey impartial third party opinions on home service companies. Only the companies that make a five star rating are given the opportunity to be listed in their Home Services Review consumer guidebook. We are happy to have been chosen as a five star gutter cleaning company thanks to our own happy customers. Give us a try and find out why our gutter cleaning service is the most popular in Atlanta! 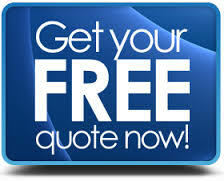 Get Started Now With An Online Quote! Training, Training, and more Training:– We are constantly looking for ways to make our gutter cleaning service better for you. We have ongoing regular training for our crews and office staff so that we can be of the best service to you. When new products come out, we test them. When someone says they have a product that will keep you from having to ever clean your gutters again, we test it. We are the gutter experts, it is our business to know, and you can feel comfortable trusting your gutter maintenance to us…Atlanta’s gutter cleaning experts.